Over two centuries ago, Native Americans discovered the healthy benefits derived from the root of the black cohosh plant. Black cohosh was found to relieve menstrual cramps and menopausal symptoms — including hot flashes. 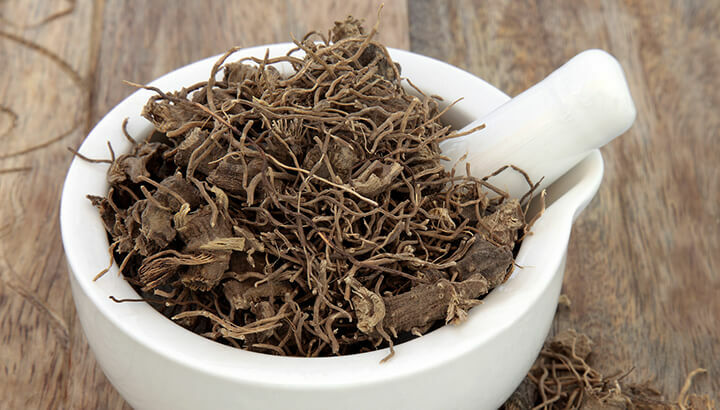 Today, women still use black cohosh to alleviate these same menopausal symptoms. In fact, black cohosh has been widely used in Europe for more than 40 years. Recently, Germany approved using black cohosh for premenstrual discomfort, painful menstruation and menopausal symptoms. Early studies found black cohosh improved physical and psychological menopausal symptoms, including anxiety, hot flashes, night sweats and vaginal dryness. Black cohosh seems to work by supporting and maintaining hormonal levels, which may lessen the severity of hot flashes. Since black cohosh does not have estrogenic activity, it may be safe for women with a history of breast cancer. While the herb works well for some, unfortunately, it may not be effective for everyone. Researchers studied 120 women with the menopausal symptoms, according to the University of Maryland Medical Center. Black cohosh was deemed more effective in relieving hot flashes and night sweats than the antidepressant Prozac. Relieving hot flashes could be as simple as learning some simple breathing techniques. The National Women’s Health Network suggests that slow, deep breathing may reduce the frequency of hot flashes by about 50 percent. Paced breathing is easy and may be done any time. It involves slowing your breathing rate from about 10 to 15 breaths per minutes to six breaths per minute. The breath should come from the abdomen. Place one hand on your abdomen and the other on your chest. While the abdomen rises and falls with the breath, the hand on your chest should not move. Continue to breathe in for five seconds and then out for five seconds. 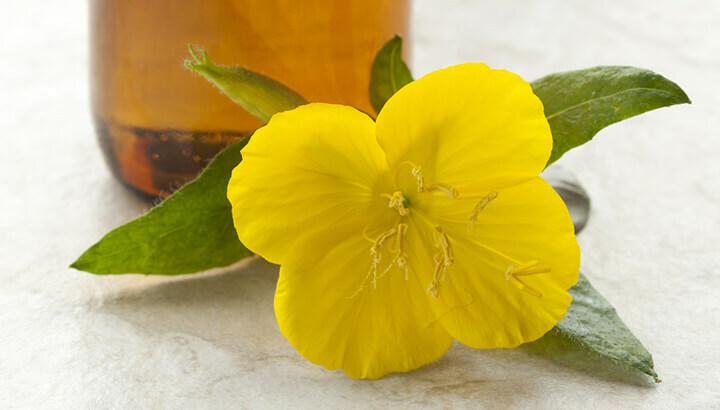 Evening primrose oil comes from the seeds of a wildflower that grows throughout the U.S. 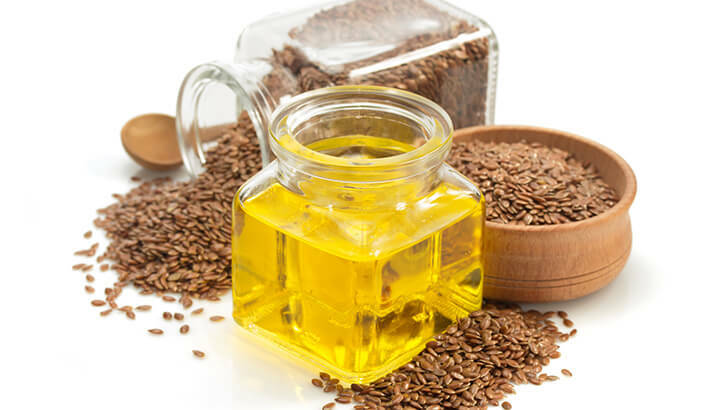 The seed oil, gamma-linolenic acid (GLA), is an omega-6 essential fatty acid. Since the human body cannot make it, it must be obtained from outside sources. However, the body can still convert another omega-6 fatty acid, linoleic acid, to GLA. It’s found in nuts and vegetable oils, but GLA is still hard to come by in the diet. Researchers studied 56 menopausal women aged 45 to 59 years who participated in a six-week randomized clinical trial. The study compared the severity of hot flashes when taking evening primrose oil to a placebo. Participants were asked to rate their hot flashes on a hot flash related daily interference scale (HFRDIS). They took either two 500-milligram doses of evening primrose oil or a placebo daily. Research found that those who took evening primrose oil had less intense hot flashes and maintained a better HFRDIS score. 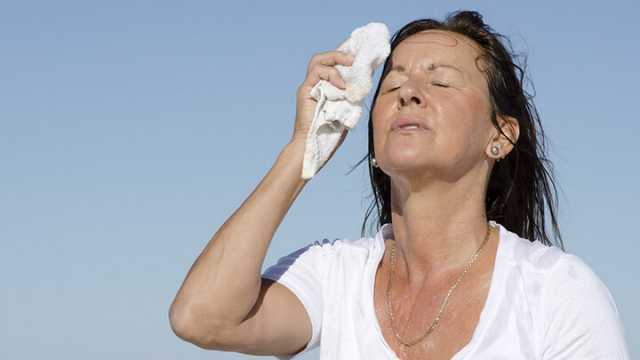 Dietary changes may relieve hot flashes. Some foods such as caffeine, chocolate, spicy foods and alcohol may actually trigger hot flashes. Your best course of action is to limit these foods and gauge whether or not your hot flashes improve. On the other end, eating plant foods that contain phytoestrogens, which resemble estrogen, may help reduce hot flashes. These foods include nuts, oilseeds, soy products and legumes. A study published in the journal Menopause by Wake Forest Baptist Medical Center in Winston-Salem, North Carolina, suggests that acupuncture may be useful for treating hot flashes. In fact, acupuncture may cut the frequency of hot flashes and night sweats by as much as 36 percent. Apparently, women who received traditional acupuncture showed vast improvement in their menopausal symptoms compared to those who received placebo acupuncture. Over 200 women who had an average of four hot flashes a day were divided into two groups. The first group received 20 acupuncture treatments over a period of six months. The second group received no acupuncture or any other alternative remedies. Of those who received acupuncture, almost half reported a reduction in the frequency of hot flashes within eight weeks. In fact, 12 percent of the women reported an 85 percent drop in frequency. Four percent even claimed acupuncture cured them completely. Fatty acids like those found in flaxseed may be effective in reducing menopausal hot flashes. Flax also contains plant lignans, similar to estrogen, perhaps causing estrogen levels to stabilize in menopausal women. Studies show that a higher intake of omega-3 fatty acids leads to less severe menopause symptoms. Since flaxseed is plant based, it’s also suitable for vegetarians and vegans — most rich omega-3 sources are fish based. A review of two studies found that omega-3 fatty acids were linked to less severe menopausal symptoms. It’s also thought that the high omega-3 diet of Japanese women is why they have very few menopausal symptoms. Vitamin C, also known as ascorbic acid, is an antioxidant vitamin with many benefits. When taken in combination with hesperidin, a natural compound from citrus fruits, it may reduce hot flashes. A diet high in citrus fruits can help calm hot flashes and other menopause symptoms. Studies show that vitamin E can help as an alternative therapy for hot flashes during menopause. Research by the faculty of medical science at Tarbiat Modarres University in Iran assessed the effect of vitamin E on hot flashes. Participants took 400 IU vitamin E (soft gel cap) daily for the four weeks. Researchers found that vitamin E had a significant impact on hot flash severity. Good sources of vitamin E include sweet potatoes, almonds, leafy greens, sunflower seeds, avocados, broccoli, squash and kiwi fruit. While vitamin E may not work for everyone, it’s definitely worth a try when you’re looking for natural remedies. Native to East Asia, ginseng has been used for centuries in Japanese and Chinese medicines. Ginseng is used primarily for memory loss in older people and menopausal symptoms in older women. The herb is said to boost mental function and combat common symptoms of menopause, including hot flashes. 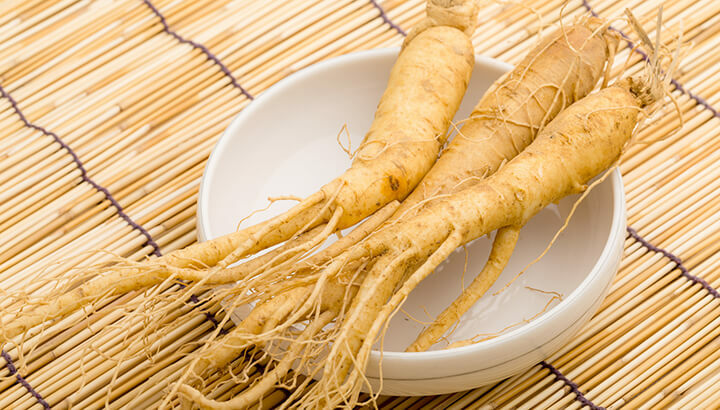 While many women report that ginseng has a significant improvement on menopausal symptoms, research on the herb is undecided. Some researchers believe that the herb contains a plant compound known as phytoestrogens. Phytoestrogens have a similar molecular structure to estrogen. Therefore, some believe that ginseng can help replace declining estrogen levels in menopausal women and relieve symptoms. However, it may only provide a placebo effect. Did you know that women who lead sedentary lives have more severe menopause symptoms than more physically active women? Daily exercise keeps you in shape, makes you feel healthy and even younger. And interestingly, it also helps balance the necessary hormones to prevent hot flashes. CNN reports that in the current study, sedentary women were 21 percent more likely to experience hot flashes. They were also 17 percent more likely to feel sad or depressed. Go for more walks throughout the day. Engage in simple cardio exercises. It’s an easy way to improve hot flashes naturally. Avoid staying out in direct hot sunlight for long periods. Reduce or avoid the use of hot tubs, saunas and even hot showers. Drink cool water with cucumber and citrus. Stay in well-ventilated, cool areas of your home. Keep small room fans in various areas of the home for temporary relief of hot flashes. Previous articleCabbage Vs. Chemo For Cancer? Hey Buddy!, I found this information for you: "Natural Hot Flash Remedies: 11 Ways To Cool Down". Here is the website link: https://www.thealternativedaily.com/natural-hot-flash-remedies/. Thank you.